Our mission is to ensure that every eligible Guttman student has access to the financial resources they need to attain their college education. A college education is one of the best investments you can make, but the cost can often put a strain on your finances. 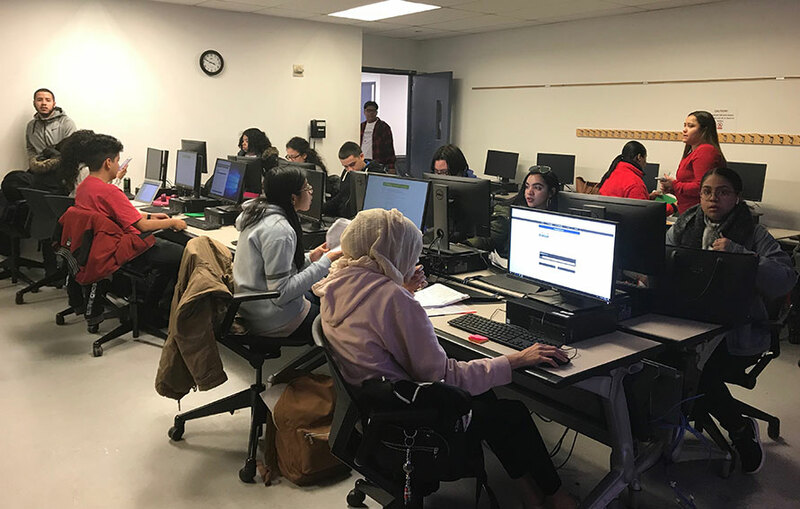 Our office is committed to helping students complete the financial aid process and ensure that every eligible Guttman student has access to the financial resources needed to attain a post-secondary education. We also strive to provide professional services to students to help remove the financial barriers to achieving their academic goals. Financial Aid counseling is available on an individual walk-in basis, by appointment, and in group workshops conducted throughout the academic year. Our staff provides assistance with completing financial aid forms online and monitoring student records to ensure compliance with federal and state requirements. “Student Right to Know:” The Consumer Information page provides prospective and current students, parents, counselors, researchers, legislators, and employers access to information to enable consumers to make informed decisions about post-secondary education at Guttman Community College, The City University of New York. Applying for Financial Aid Workshops are offered each semester. A Financial Aid Representative will be available to help students complete their 2019-2020 FAFSA and TAP Applications. Spring I dates are below. Students may register for a workshop here.